In Faizabad, British India, Daroga Dilawar is sentenced to several years in prison after Amiran's dad testifies against him. After his discharge around 1840, he extracts his vengeance by abducting Amiran and selling to a brothel madam. It is here Amiran will be re-named Umrao Jaan. Years later, Umrao has grown up and is an accomplished poetess as well as dancer extraordinary. She has many patrons, chief amongst them are Nawab Sultan and his father. The young Nawab is smitten by Umrao's beauty and her poems, but is finally forced to marry a girl of his mother's choice, leaving behind a heart-broken and devastated Umrao, who seeks solace in the arms of Faiz Ali and finally elopes with him, only to find out that he is a wanted bandit, and is shot down and killed by guards. Umrao re-locates to Lucknow where she establishes herself as a Poet and dancer, but is hunted down by brothel-keepers, Gohar Mirza and Husseini and brought back, where she is told that she must marry Gohar. Watch what Umrao does to escape from being married against her will, and her attempts to try and find her way back to her parents.In Faizabad, British India, Daroga Dilawar is sentenced to several years in prison after Amiran's dad testifies against him. After his discharge around 1840, he extracts his vengeance by abducting Amiran and selling to a brothel madam. It is here Amiran will be re-named Umrao Jaan. Years later, Umrao has grown up and is an accomplished poetess as well as dancer extraordinary. She has many patrons, chief amongst them are Nawab Sultan and his father. The young Nawab is smitten by Umrao's beauty and her poems, but is finally forced to marry a girl of his mother's choice, leaving behind a heart-broken and devastated Umrao, who seeks solace in the arms of Faiz Ali and finally elopes with him, only to find out that he is a wanted bandit, and is shot down and killed by guards. 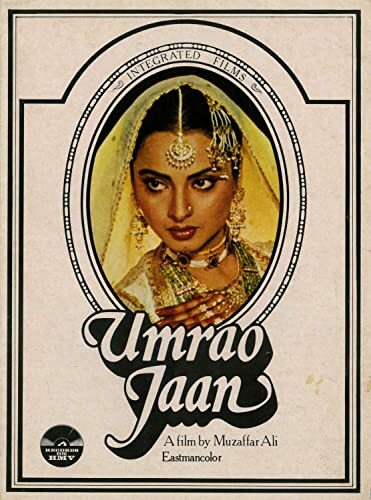 Umrao re-locates to Lucknow where she establishes herself as a Poet and dancer, but is hunted down by brothel-keepers, Gohar Mirza and Husseini and brought back, where she is told that she must marry Gohar. Watch what Umrao does to escape from being married against her will, and her attempts to try and find her way back to her parents.